As we mentioned in last week’s post, Margaret Mason’s relationship with Mary Shelley – the daughter of her former governess Mary Wollstonecraft – changed dramatically over the years. Thinking about the change in Mason and Shelley’s relationship prompted us to look back on some of the changes that have affected our own friendship. Some of our readers – particularly those who follow Emma and me on Twitter – will already know that the first of our novels will be published in 2016. I say ‘our’, but I want to make it clear that this is not a collaborative work of fiction. Owl Song at Dawn is written by Emma Claire Sweeney. Emma is the one who imagined the characters of twins Maeve and Edie, who grow up together in a seaside boarding house and whose lives later take dramatically different courses. Emma created each sister’s distinctive voice – that of straight-talking Maeve and lyrical Edie, whose musical speech patterns are both enthralling and hard-to-fathom. Emma arranged the modern-day and 1950s story strands until they sang as a pleasing whole. I cannot take credit for any of these things. And yet, because I have known Emma for so long, and because we have had so many conversations about her novel, I do feel that I am a part of the story behind Owl Song at Dawn. Over the past few years, I have lived in several different places around Britain, and Emma’s novel-in-progress – like her friendship – has accompanied me from home to home. I remember cooking dinner in the cramped kitchen of my flat at the time, while Emma – who’d come up on the train from London – stood, sipping wine, close by. Owl Song at Dawn existed only in fragments back then – some of them committed in embryonic form to paper, some still only in her mind. Keen not to give away the plot before she was in a position to show me a full draft, she was sparing with details. But as she talked, and I stirred the pan, I started to fit these snippets together until I began to get a fuzzed sense of the novel’s characters and the intriguing connections between them. I remember us sitting, surrounded by metal railings and creeping honeysuckle, on the balcony of a different flat, us talking through all the notes I’d made on that first full draft. I remember other drafts in another flat, and later, emails flying back-and-forth between us about submission letters to literary agents, and then the book being sent out to publishing houses. Back in the very earliest days of our friendship, I think both Emma and I assumed that – although we were already such a big part of each other’s writing lives – moments of success like these would be chiefly for one of us alone. While I’m sure we assumed we’d join in with our friend’s celebrations, I doubt either of us imagined just how collaborative those celebrations would feel. 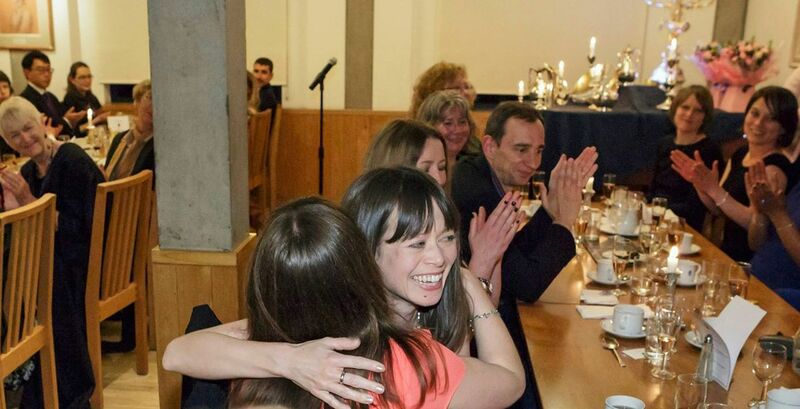 But when Emma called me up on the phone and told me the wonderful news that Owl Song at Dawn had been bought by Legend Press, I felt the same feeling I’d experienced at this year’s Lucy Cavendish Prize ceremony, just a few months ago: that this was an achievement not just for Emma or for me, but for us both as writer friends. 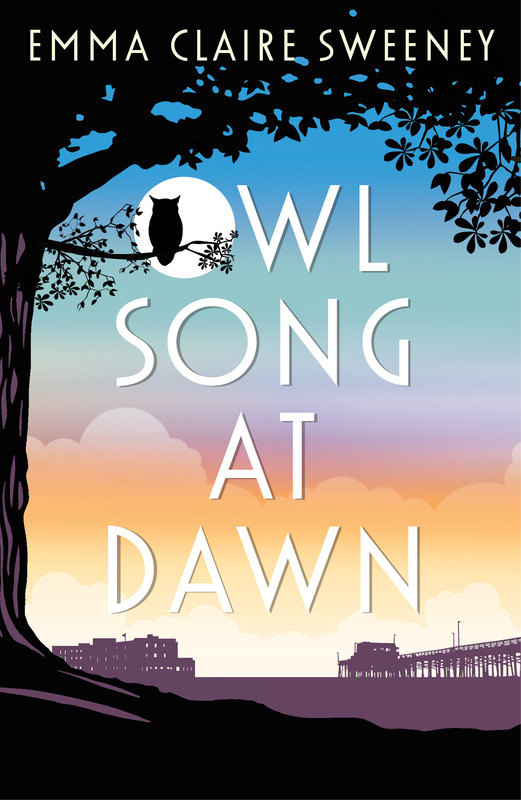 Emma Claire Sweeney’s novel Owl Song at Dawn will be published by Legend Press in July 2016 and is available for pre-order now. Thanks for your comment, Ali. We’re so glad you liked the post, and that it cheered you a little on such a sad day. Wishing you all the best with your own writing.